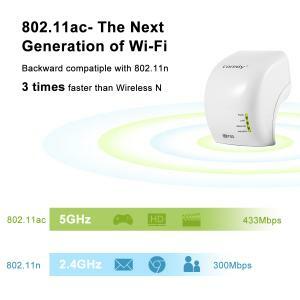 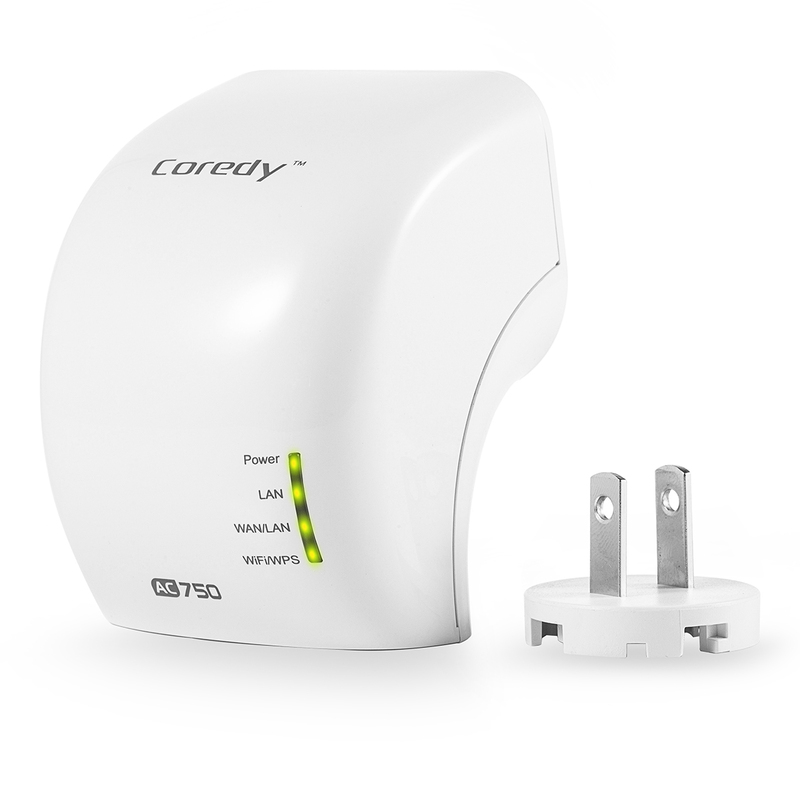 Coredy WD750 brings to you one extra 5GHz (802.11 ac) wifi Highway with a bandwidth up to 433Mbps, specifically for your 5GHz devices. 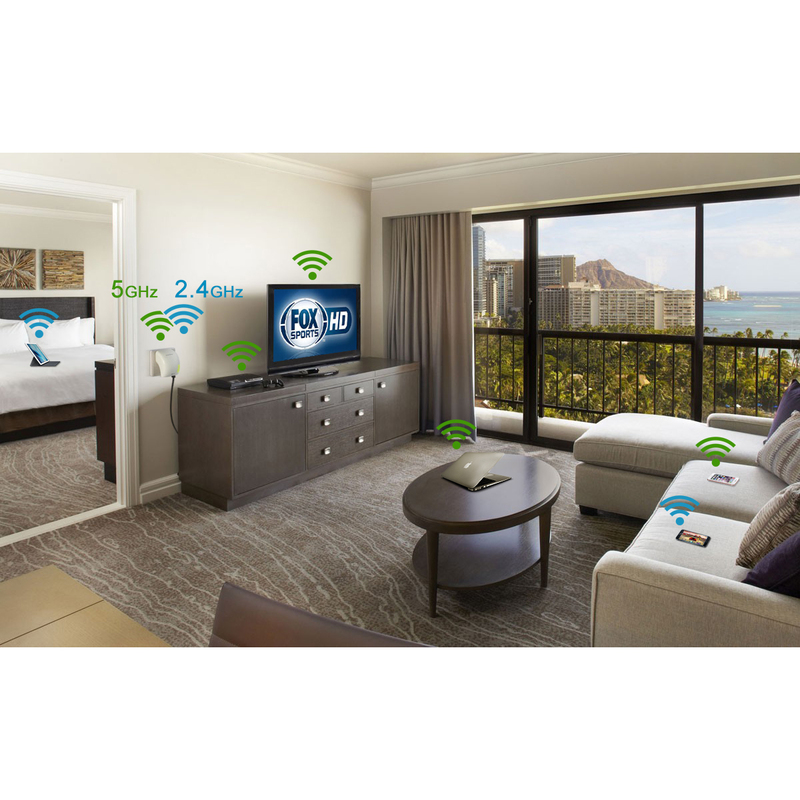 As this band is much cleaner, you can get the highest entertainment experience while streaming the lag-free HD video and gaming. 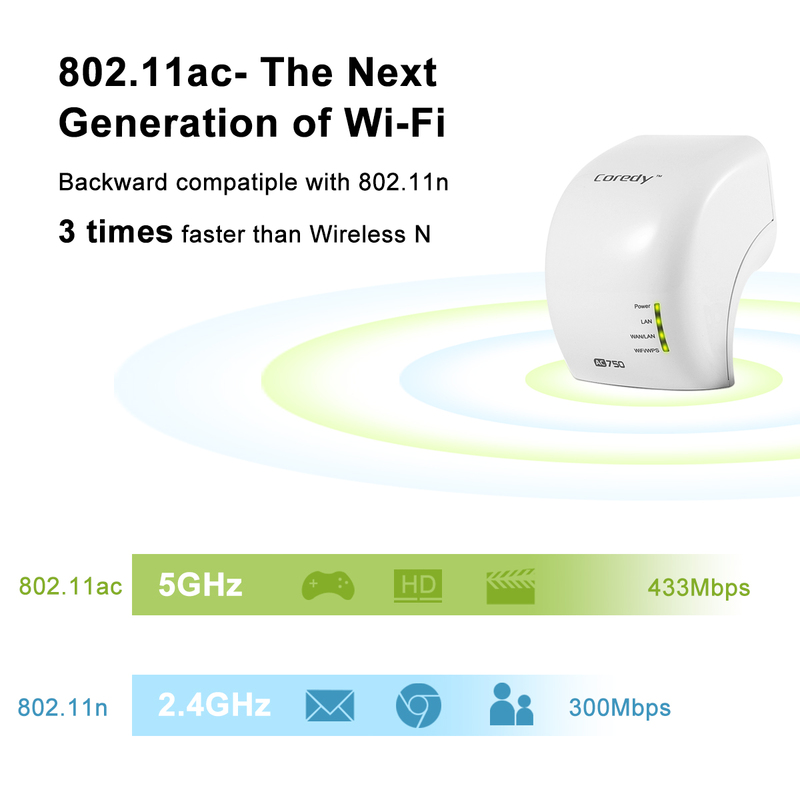 Simultaneous, the traditional 2.4GHz band provides you a band width of up to 300Mbps, allow you to freely access with other devices. 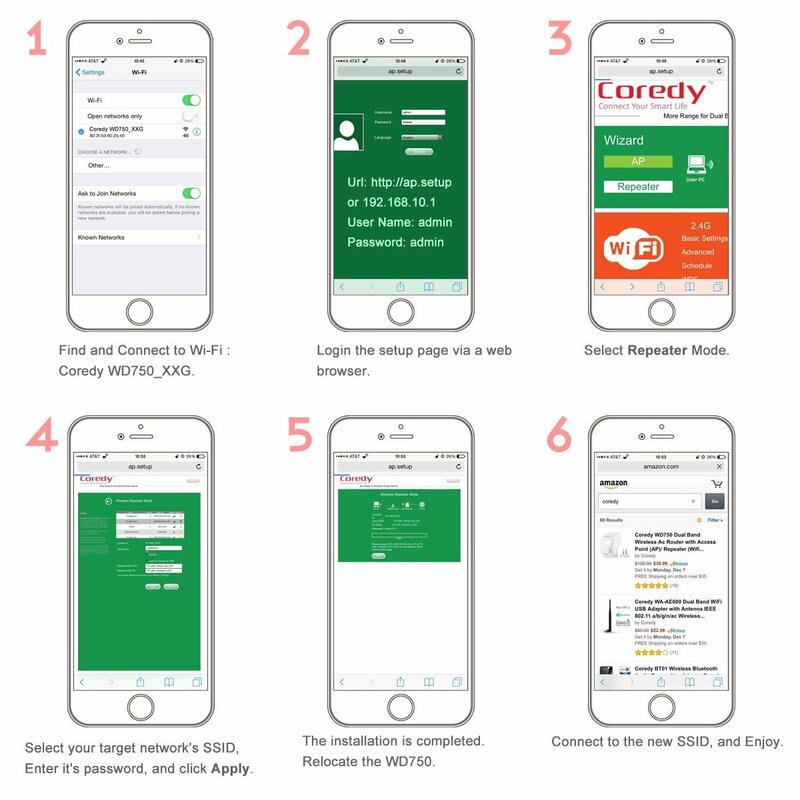 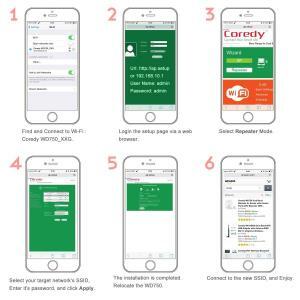 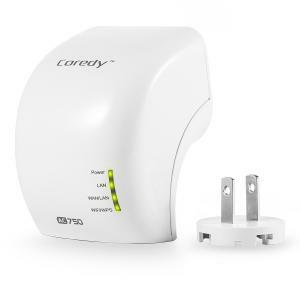 With the 3 integrated antennas inside Coredy WD750, you can maintain great wifi strength, large wireless coverage and high speeds across greater distances. 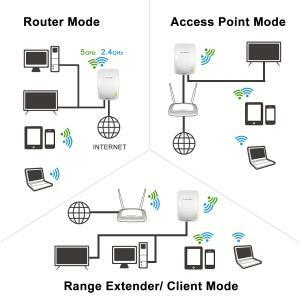 You can convert the Ethernet signal between wired and wireless network, meeting different needs for your devices. 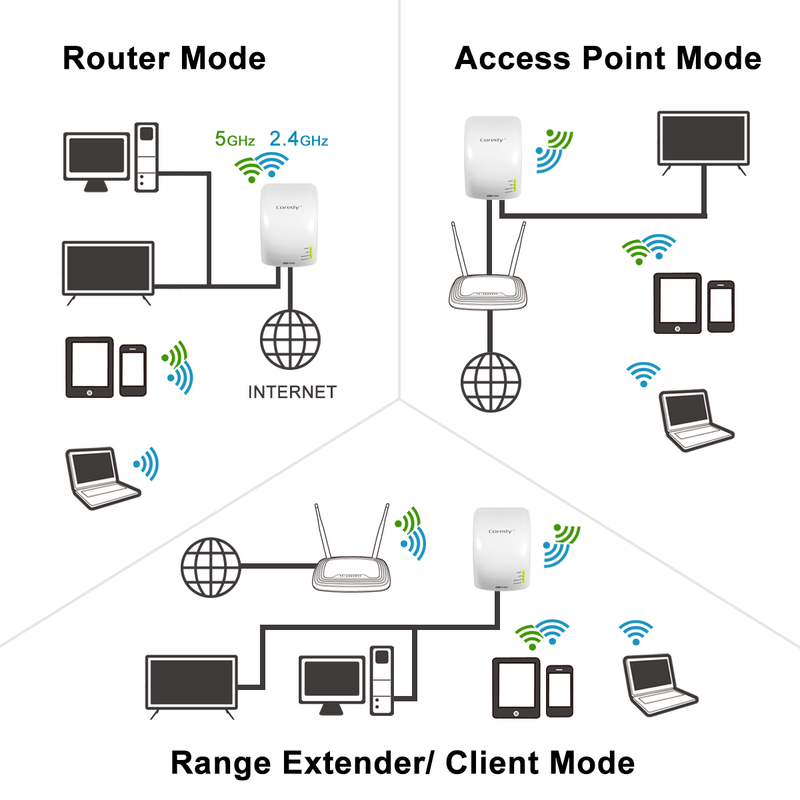 It does not require an elaborate setup, and easy to switch between different Modes, easy to connect the WPS supported routers and android Devices with only the WPS button. 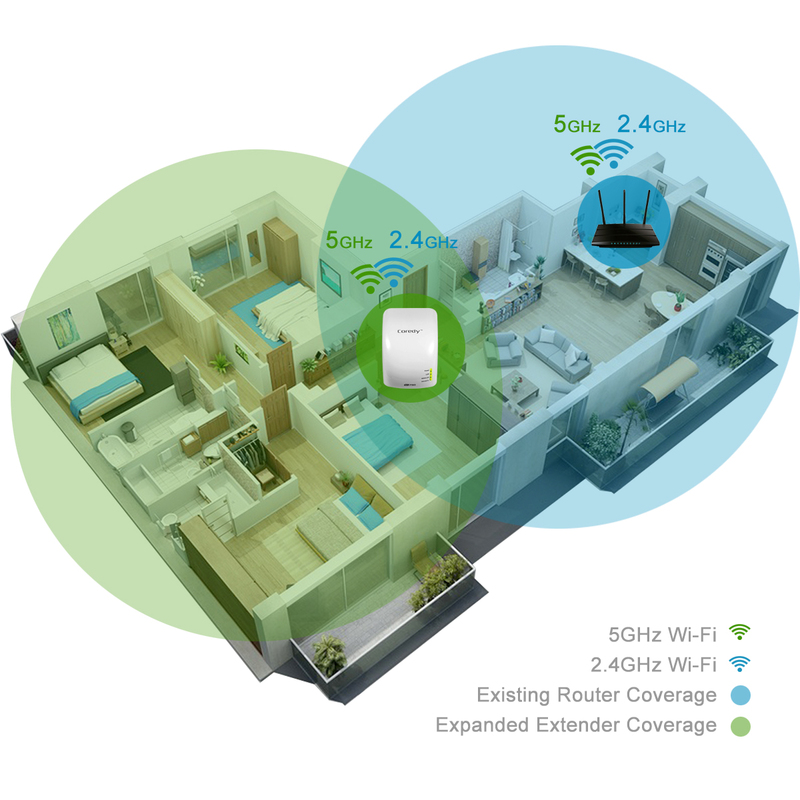 Easy to encrypt wireless security at a push of WPS button. 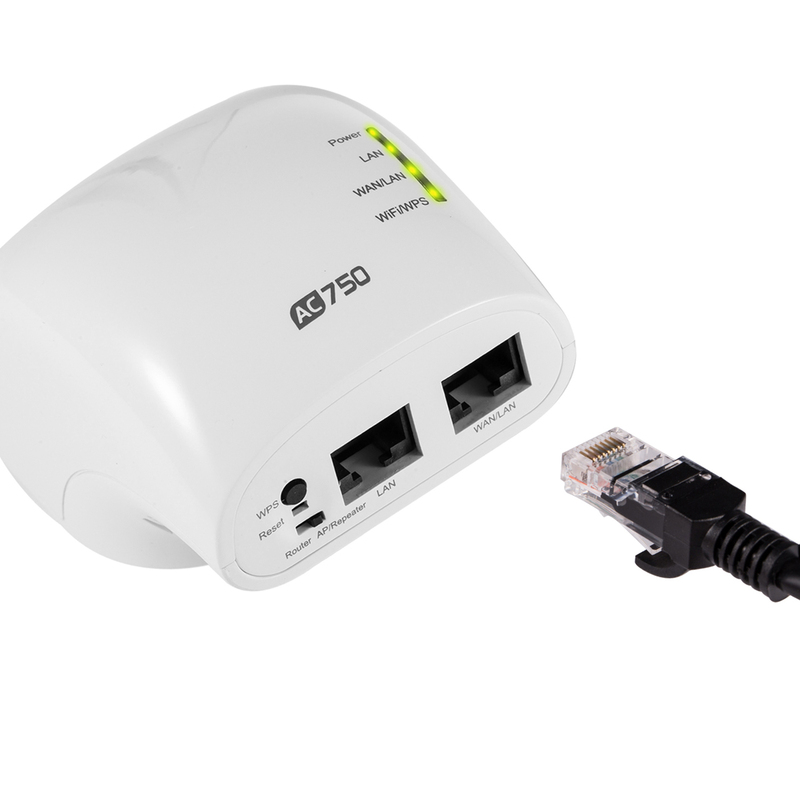 Compact size,comes with a Built-in Power Adapter, hence squashing the need for Bulky Adapters. Ideal for home and travel use.